1955 — Collins St., 5 P.M. Oil paint on canvas. Expressionism style. 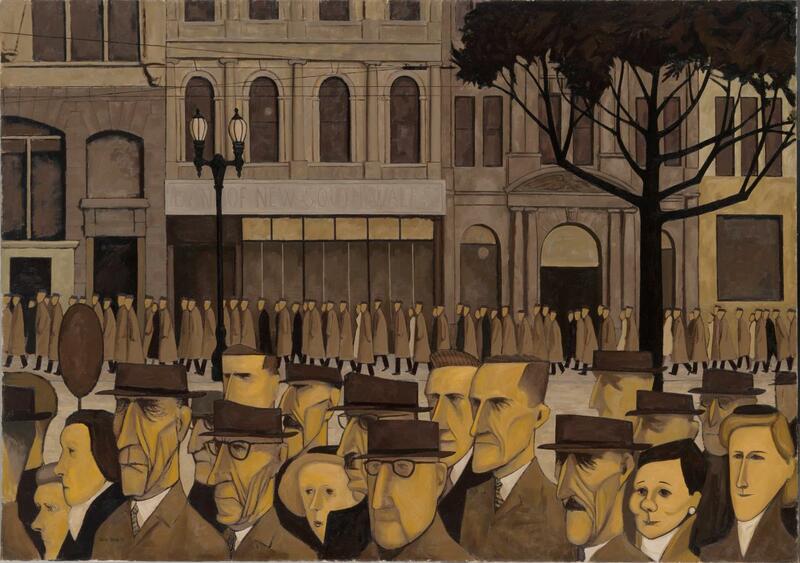 John Brack (1920-1999). National Gallery of Victoria, Melbourne, Australia.